Video games are fine, but hunting down and destroying a target in a virtual world just doesn't cut it for us. 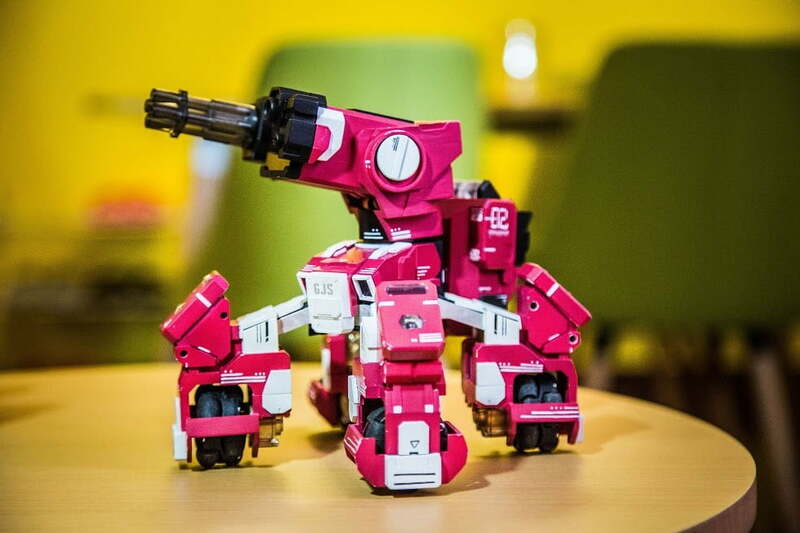 Which is why we're excited to see that GJS have brought their latest battlebot to Kickstarter, the GEIO. 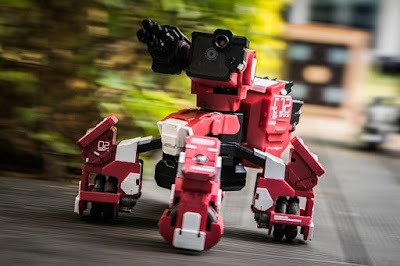 This clever little robot does a whole lot more than simply drive about shooting things (although, admittedly, that is the best part). Currently seeking funding on Kickstarter, and having already smashed their goal with weeks to go, the GEIO looks set to be a hell of a lot of fun. You can control it with your smartphone wirelessly, and play several different battle modes. As well as fighting other GEIO bots, you can race, hunt down targets, and even set one to defend a location while the other attacks. It all sounds very cool, and it seems like the bots themselves run off pretty impressive AI programming. Which is a lot cleverer than the toys we used to play with. We're just concerned that someone might one day put programming like that, into a robot like this.